In response to ABTA’s 2016 Holiday Habit Report stating that over half of UK holidaymakers (55%) who have never been on a cruise are interested in going on one, Planet Cruise are debunking cruise myths and giving some insight and insider information for those thinking of taking a cruise holiday. The company says, not only is cruising a fantastic way to experience multiple destinations and cultures on one holiday, but now more than ever there is such a fantastic choice of cruise options to suit all types of holidaymaker – whether it’s a short taster cruise, far flung voyage taking in multiple destinations over a long period of time, luxury and intimate river cruises, or even an educational and exploration cruise to the Antarctic – there are cruises for everyone. Embarking on your first cruise holiday can be intimidating, faced with so much choice and not yet knowing the ropes. Here Planet Cruise give their insider guide to help all first timers feel in the know. How to know which cruise is for you? Fly Cruise Holidays – flying from the UK and allowing passengers to start their cruise holiday directly from the first port of call, fly cruise holidays are the perfect option for those wanting to be right in the heart of the action from the off. These cruises work just like a standard package holiday, flying from a local airport and being met on arrival to be transferred to the cruise ship. Cruise and Stay holidays – for those wanting the best of both worlds, a cruise and stay holiday is just that. 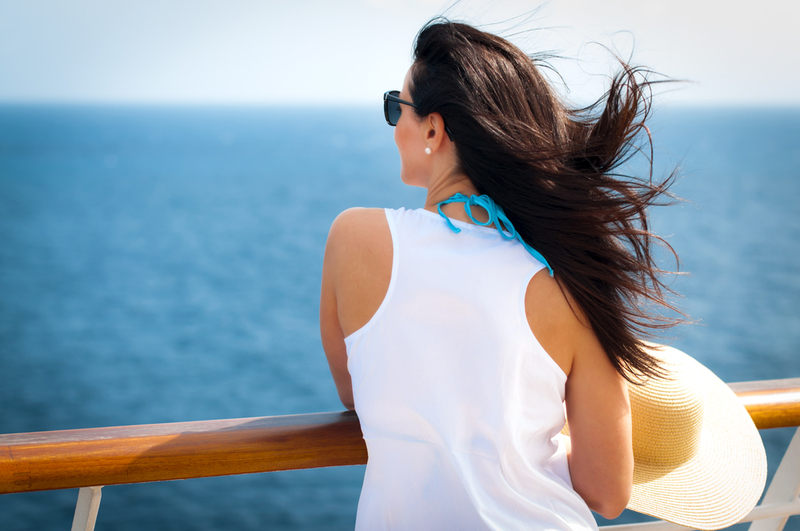 Whilst still benefitting from the value-for-money and perks of a cruise holiday, these voyages include hotel stays usually at the start or end of the cruise, which gives more time to explore the destination, and also allows guests to tailor-make their holiday and extend their stay for as long as they like. These are a great option for first time cruisers as it still has the elements of a land holiday combined with a cruise. Cruise from the UK – cruises from the UK are a brilliant option for those with a fear of flying, or those who want to avoid busy airports, cutting out lengthy airport security checks and eliminating luggage restrictions and the chance of flight delays. These cruises mean holidaymakers can travel to far flung destinations, without setting foot on a plane. Mini cruise and taster cruises – these are perfect for first time cruisers, and do exactly what they say on the tin. Usually lasting just a couple of nights, it’s a great way to find out if cruising is for you without dedicating a lot of time and money to the trip. These cruises often take in some of Europe’s finest cities such as Paris, Amsterdam and Bruges, allowing passengers to get a feel for life on the ocean and ticking off iconic cultural cities along the way. Themed cruises – for something fun and a little different, a themed cruise is a great option. Particularly great for families, there is a huge array of themed cruises currently on offer, from cruises that take in World Cup games and the Grand Prix, to Star Wars and Disney film themed voyages, right up to culture and wellness trips, these are great for anyone with a real passion or hobby that they would like included in their holiday. If sequins and sambas are your thing, make sure you book up one of P&O Cruises Strictly Come Dancing trips for 2017. Alternatively budding chefs and food enthusiasts should embark on a Food Heroes cruise where they can learn to cook with James Martin and Eric Lanlard. Many first time cruisers worry they will get sea sick onboard a cruise ship, however the chances are very slim. The ships are large stable vessels which have been built with modern stabilisers to reduce movement. If on the off chance you do feel sick, there are onboard medical services which will provide complimentary medication. Tips for minimising chances of sickness are choosing a cabin in the middle of the ship to ensure maximum stability, having three wholesome meals a day and eating ginger to settle the stomach. One of the great advantages of a cruise holiday is that the majority of costs are included in the initial fare, leaving passengers more time to enjoy their holiday and less time worrying about money and current fluctuations. Accommodation, meals in the main dining room and onboard entertainment and activities are all included in the package, and if on a luxury line then alcohol and premium dining options may also be included. When booking it’s worth looking out for add-on drinks packages, which are often included for free during certain booking periods, and means no bill at the end of the trip. Do I have to dress formally every night? It’s a common misconception that guests have to dress up formally when onboard a cruise. Although there are some cruises that are much more formal and have a set dress code, many are very relaxed. In general most cruises will have a couple of formal nights during the stay which are a great excuse to get your glad rags on, but even on these nights you do not have to participate unless you are going to one of the sit down restaurants or theatre. Cruising is so much more than travelling from place to place and lounging on sun decks, with each cruise line bringing more and more themes, entertainment and activities onboard. Adventure and explorer cruises are a brilliant option for those wanting to learn during their trip and discover hard to reach places, with many smaller vessels now with geologists and marine biologists onboard and on hand to educate the passengers. When should you go and when to book? Shoulder season cruising – If you’re wanting to test the water on your first cruise and not spend too much, “shoulder season” sailing between the peak and low periods is a great option, where the cruises are moderately priced and port of calls are less busy. If you love nothing more than sunbathing on the beach this might not be the best option, however for those keen to sightsee this is definitely a great money-saving alternative. Book at least six months in advance – this is the best time to get great discounted prices but still with a wide range of cruises and cabin types available, although if you’re planning a trip during high season, book even earlier to make sure you get the right cabin and reap the rewards of early-booking incentives. If you catch them, it’s also a great move to book as soon as the cruises go on sale to take advantage of ‘launch’ deals, low deposits and most crucially, first dibs on the cabins which for families is really important. Wave season (January – March) is a great time to book when cruise lines offer a number of incentives and discounts to fill their voyages for the year ahead.